Izac was born in the 30th of May 1993, he was the second child of Ronilo Marquez and Vicki Nancy Ruth Galvin, and brother to his big sister Tiffany Marquez. Izac was born at the Royal Children's Hospital in Brisbane, QLD Australia weighing just 6lb 1oz and measuring 48cm long. He was meant to be a twin but due to a miscarriage we lost his brother at 4mths gestation. 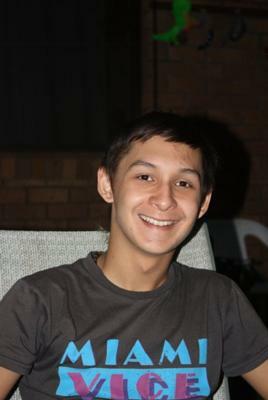 Izac grew into a loving boy with a great sense of humour and a zest for life, he excelled in all sports but was especially keen on Rugby League. He also loved fishing and at the age of 5years could already cast a castnet. He could catch a fish with a safety pin and twin if he tried, any time we went fishing he always caught something when no one else even got a bite. Izac would come out with the quirkiest things at age 4 he asked his grandmother "Nan if I put soap up my bum would I fart bubbles?'" And would joke to his girlfriend that she was his princess, but to never forget that Mum was his Queen. When Izac was 4 he became a brother again to Paul Prospero and at 9 brother to both Emanuel Prospero and Melissa Marquez. He had two families his Mums and his Dads and was very happy about the fact, that at christmas time and birthdays he always got double the pressies. Izac was particularly close to his Nan and Pop Rose and Jockey Bouwens and was always dying to spend holidays with them, fishing and building sandcastles at the beach. He also shared an extra special bond with his cousin Kelly Little, those two were just like two peas in one pod. With the same sense of humour and same outgoing spontanious nature. 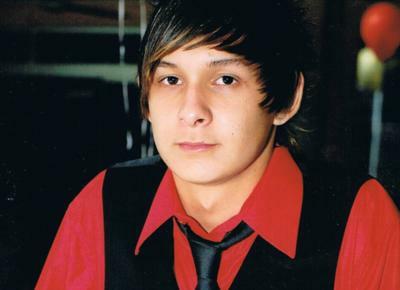 Izac was the step son of Alfredo Prospero and was much loved and cherished, He was also loved very deeply by his girlfriend Taylah Noble-Wilson and he loved her with a passion. 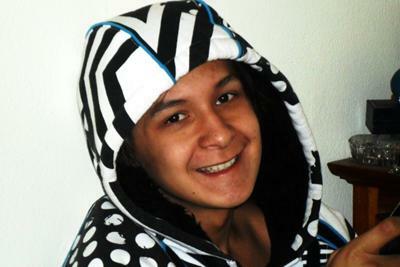 Izac was close to all his family and loved being around everyone. As Izac's mum we shared a very close bond, he was not only my son but also my best friend. He would tell me everything from the first time he went through puberty to girls and life in general. It was always my boy and I and we had no secrets from each other. We both said it as we saw it. No holes bard. I miss my son's sense of humour, and fun loving nature. The way he would come and plonk himself down on my lap and cuddle me and say "I really love you Mummy even at 17yrs old if he wanted something. And the way when we would sit and talk that he would play with my hair. Izac was what I would call a pretty boy, all the girls loved him. He would spend hours in the bathroom getting ready to go out spiking up his hair at the back till it was just right and plastering himself in JOOP. He had a keen sense of fashion and would not leave the house until he was satisfied that he looked perfect. Izac was the life of the party, and had so many friends that I couldnt even remember all their names. He had a very caring heart, and had saved many kids his age from the fate that he endured himself. He was not shy and would befriend anyone, and loved to have his picture taken especially pulling faces or acting the clown. Loosing my son is like loosing my soulmate. No one could ever come close to his perfection. I know God must have had a purpose to take my son home so soon for he was like a living angel on earth. A terror at times but he never lost his loving caring heart. It was an honour to be Izac's Mum and I will cherish my son and his memory for as long as I draw breath. I will miss my son with every beat of my heart forever. With Christmas just 2 days away Izac not being with us is felt just so much more. His Mum Vicki and Dad Ronilo and step dad Fred Prospero and his brothers PJ and Manny His sister Tiffany and his cousins and his grandparents also his uncles & aunts are so felling his absence. He loved going for car rides to see the lights. He loved the little kids and in return everyone loved him. This Christmas we ask for peace for Izac and for all his family and we send our love to Izac and all the family. I love yuo joog and it is hard continuing with the life of mine considering yuo were a really huge part of it. I miss yuo coming over every morning and waking me up for a smoke :) Im so sorry that i left yuo because we moved house, yuo know if it was mums house yuo could of still lived with us. Yuor mum is so wonderful for helping us kids get through this, and what a beautiful woman she is. Just ashame that yuo couldnt sing to her like we had planned (i was doing back ups). I Miss yuo more and more everyday but as time goes by its becomes easier. I am Izac Florentinos Nan and his Pop and I love him with an unending love. He was funny, beautiful, colorful, wonderful. Our hearts went with this beautiful young human being it is so hard to accept that he is gone. He loved to go fishing with us. We gave him a cast net and he would throw and throw it and if he caught one little mullett for bait he would be the proudest little man around. Even as a tiny tacker he could catcha and land a big fish. He had heaps of mates in Karumba where we live. I remember he went up to one of his mates places and he came home and said could we buy some TERMITE as he loved it. So we rang his friends mum and found out it was marmite. Soooo Sad so grateful for the 18 years we shared this golden child. Thanks for sharing your tribute to Izac. What wonderful memories you have of the very special relationship you shared. I'm so sorry for your loss. I cannot imagine the loss of a son. May you find comfort in these beautiful memories.